The highly interdisciplinary project has the goal to find a better way for people without a larynx to produce natural sounding speech. Anna Katharina Fuchs is working on her PhD Thesis about the subject. 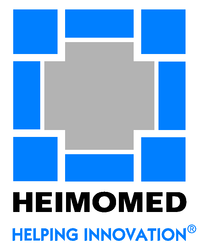 We highly appreciate the close cooperation with HEIMOMED, Germany a company focused on diagnosis, therapy and rehabilitation for laryngectomees and the Department Of Phoniatrics, Speech And Swallowing at the University Clinic Of Otorhinolaryngology, Graz. More information can be found on the project page: Speaking Aid for Laryngectomized People.